So it is a story of gingered man - geddit? 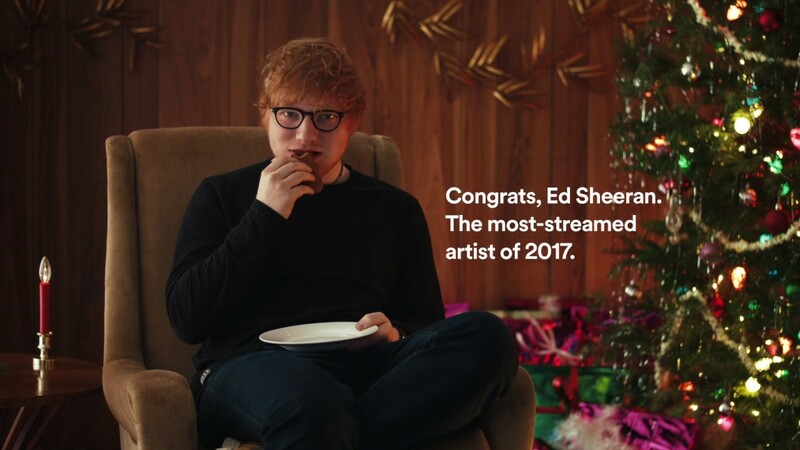 (ginger Ed - as in Ed Sheeran not the gingerbread man traditionally baked at Christmas). To avoid all confusion see the video here! Actually it left me with a smile on my face. An ad not too difficult to make, not to difficult to think of and yet - not done before. See? There's still hope for low-key ads. Oh, and congrats to Sheeran being the most streamed artist of the year.